Stephen Hill Architects were commissioned to design this contemporary extension and enlarged second floor bathroom to a 1930’s house in Sheffield. 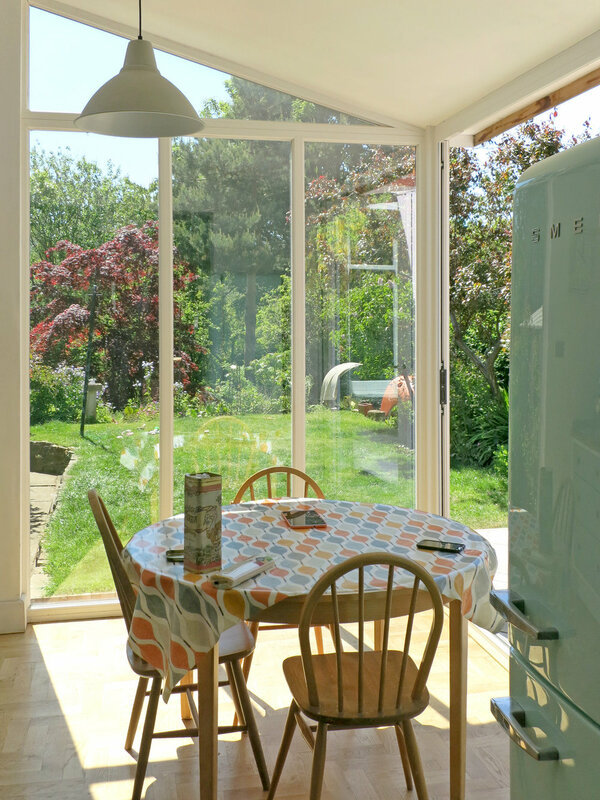 The extension provides a spacious kitchen and breakfast room overlooking the attractive south facing garden. 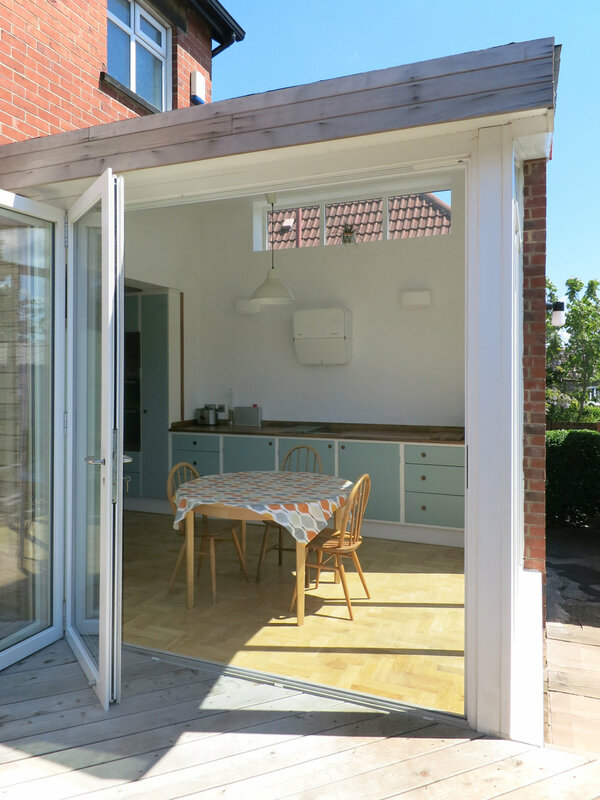 Sliding folding doors open directly out onto a decked area blurring the boundary between inside and out. 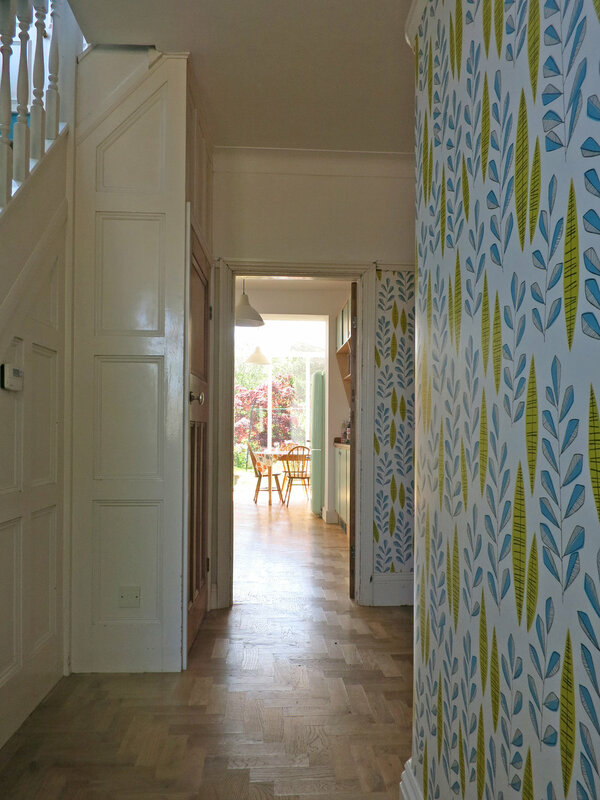 Large areas of glazing bring the garden into the house making it visible on entering through the front door. Completed 2013.